A piece rich with history and patina. 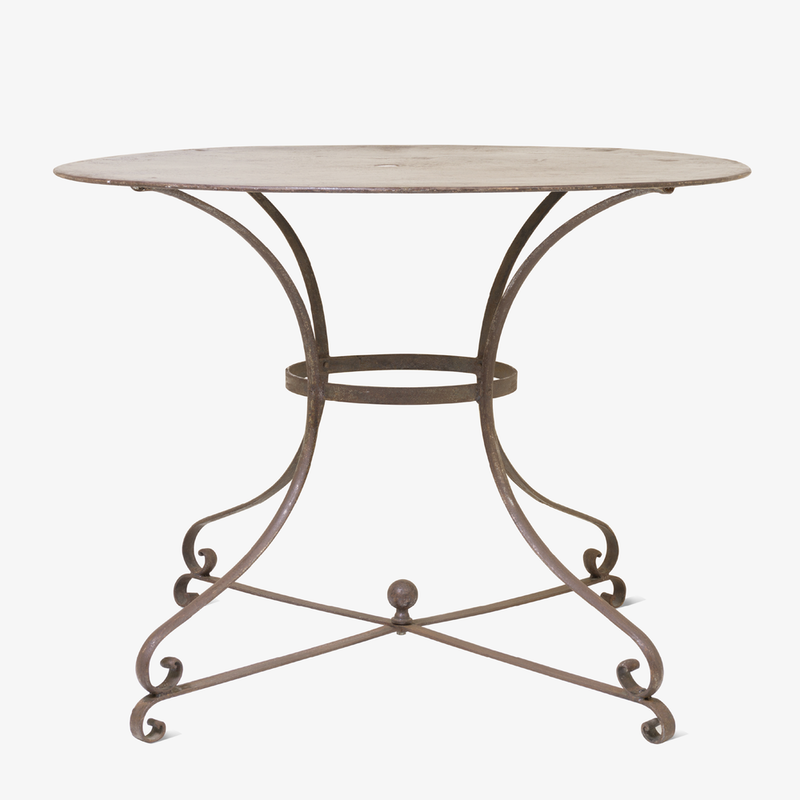 A generously sized Guéridon design bistro table crafted completely out of iron. The base is a simple yet elegant wrought iron classic design with delicate curves and an impressive ball finial at its center. The table is topped with a hammered iron surface very durable for great entertaining.